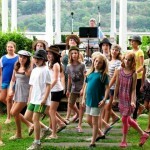 The kids attending Sunday’s Summertime Family Soire Depot Theatre Benefit weren’t just singing songs from the show they had just appeared in, they were also singing the praises of their just-concluded “Bugsy Malone” camp – one of several theatrical/acting programs conducted each summer by Philipstown Recreation. These popular, frequently sold-out programs work that “let’s put on a show” formula to the max: four weeks, 30 kids, a musical extravaganza with full sets and costumes, a teenage director and assistant directors: ready, set, sing, paint, hammer, sew, memorize, find props, get scared, get over it, go! Rec’s Depot Theatre programs continue in August with a workshop for children in grades 1 to 3, and start up again later in the fall, with a production of “A Christmas Carol.” Registration for the summer programs generally takes place in April, and frequently fills up a short time after the phone lines open. For more information, call Rec at 424-4618 or visit philipstownrecreation.com or philipstowndepottheatre.org. 2 Responses to "Summertime, and the Singin’ is Easy"
Thanks to Tess, Liz, Jeff, Zosia, Madison, Alec and Matt for the great job they did with the camp kids and major thanks to all the many volunteers (including Depot staff members) who helped make the Soiree a success. 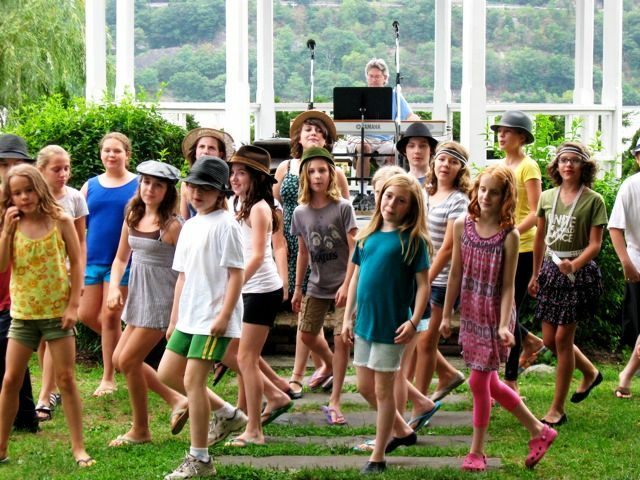 Don’t miss Thoroughly Modern Millie this weekend (Thurs.-Saturday) for another example of what great work The Depot is doing in providing arts programming for Philipstown’s kids of all ages. We’re so fortunate to have this resource in our community. Thank you so much Tess, Jeff, Zosia, Liz, and Alec! You guys are such amazing directors! 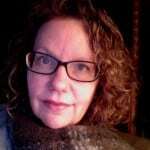 This is such a wonderful program! Erminio Federico, age 95, of Cold Spring, NY, died on Sunday, July 25, 2010 at his home.